Removing those ugly yellow stains--- VENEERS! We can quickly and easily remove those ugly yellow stains and pre-decay areas. 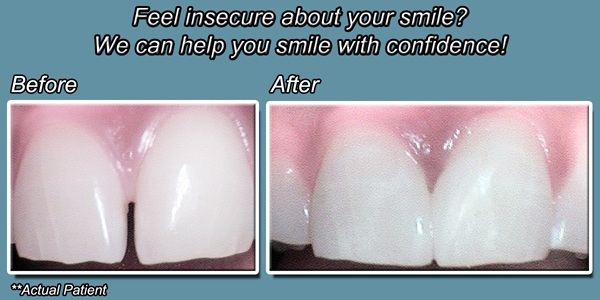 We can return your smile so you can feel better and more confident! By using bonding we are able to give people back their white teeth and a more harmonious smile. Come on in for a consult. There are many factors that can cause a tooth to chip. Cavities and weak enamel undermine the overall strength of a tooth, and a root canal may lead to brittleness. Often, chipped teeth are simply the result of an accident where a chip was broken off by force. Whatever the cause, it is essential to visit a dentist promptly, even if there is no pain. 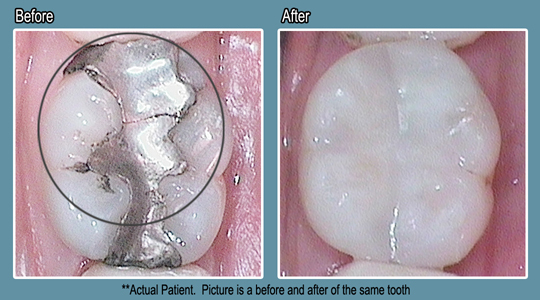 Chipped teeth can be repaired by applying crowns, veneers, or new fillings in some cases. If a tooth is severely fractured, it may need to be replaced with a dental implant, although extraction is comparatively rare. 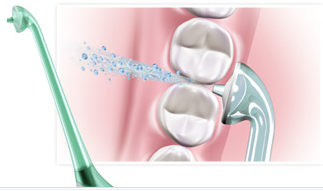 To avoid further problems in the future, chipped teeth should be repaired right away. One common form of tooth repair is called tooth reshaping. This is somewhat of an instant fix and is generally best-suited to small chips. In any case, a dentist will take an x-ray to see if there are any additional causes for concern and to make sure that the tooth is strong enough to handle the procedure. In this process, very small amounts of enamel are removed with a drill or specialized laser, after which abrasive strips are used to shape the sides of the tooth. After this, a veneer or other coating will be applied and shaped to the natural form of the tooth. This is usually an inexpensive process, and is good for repairing small chips and other minor problems. A similar procedure known as bonding can also fix chips and other imperfections. In the case of very minor damage, enamel shaping may be the best option. If the chip is small enough that 99% of the tooth is still intact, then white dental composite, also used for fillings, can be used to patch up surface damage. This procedure is simple enough that it can often be done without anesthetic. For very badly chipped teeth, the best solution may be a veneer made of porcelain. Porcelain veneers are permanent hard coverings that a dentist places over one or more teeth which have the effect of repairing chipped teeth and whitening them all at once. In applying porcelain veneers, the dentist will remove a small amount of the tooth’s enamel all around, usually to a depth of about 0.02 inches (0.5 mm). A cast of the teeth is taken at this point, from which the veneers are made, over the course of a few days or weeks. Temporary veneers are worn in the interim. Once the permanent veneers are ready, they are bonded into place with a special cement which hardens immediately when exposed to a certain wavelength of blue light. Wanting a brighter and straighter smile is a fairly common desire among adults, but most people are unwilling to deal with the wires and brackets that come with traditional braces beyond their teenage years. Fortunately there are modern alternatives to these types of braces that allow adults to inconspicuously correct their smiles. Family dentist Wade Takenishi, DDS offers ClearCorrect™ for patients who want to conveniently straighten their teeth without the embarrassment of braces. ClearCorrect™ technology utilizes a series of custom and removable clear aligners to straighten teeth over time. Patients begin seeing results immediately, but it generally takes 18 months for the treatment to be completed and teeth to come into perfect alignment. Along with being discreet, people choose clear aligners for the convenience they provide in daily life. Rather than avoid certain foods that would become stuck in traditional braces, patients who use ClearCorrect™ can simply remove their aligners while eating and drinking! It’s as easy as that. ClearCorrect™ is also a more affordable option when compared to other systems like Invisalign®, and patients who opt for it can save up to $1,000 in their overall treatment. The price of ClearCorrect™ is comparable to traditional braces, as well. Patients who are curious to see if they qualify for ClearCorrect™ treatment can speak with Dr. Takenishi about their options. 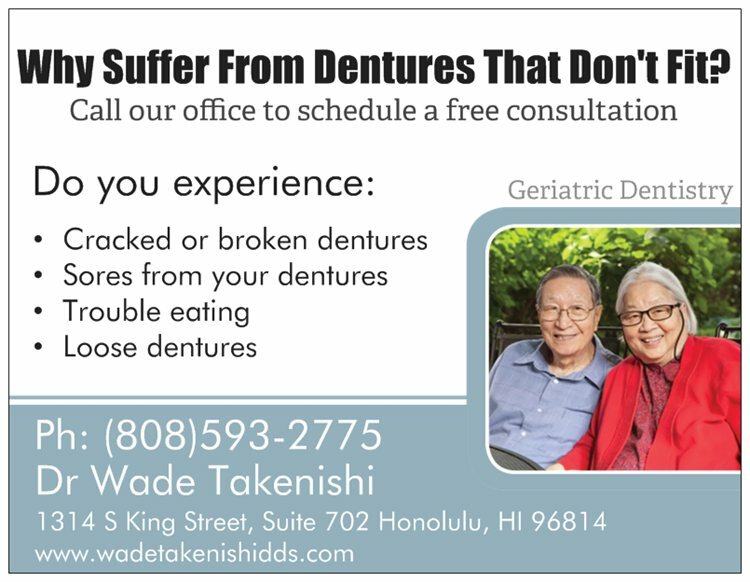 To learn more about the benefits of ClearCorrect™ or to schedule an appointment with Oahu’s top dentists, call (808) 593-2775. 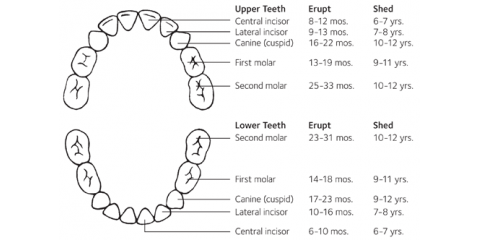 When are my baby's teeth coming in? Parents are always asking me, "when will their baby's teeth come in?" Our office is now offering the new Sonicare AirFloss. 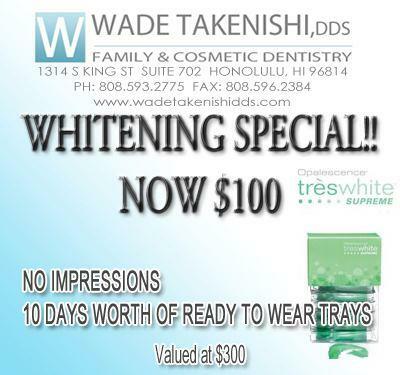 For the month of September we are offering 50% off of Day White Whitening System. 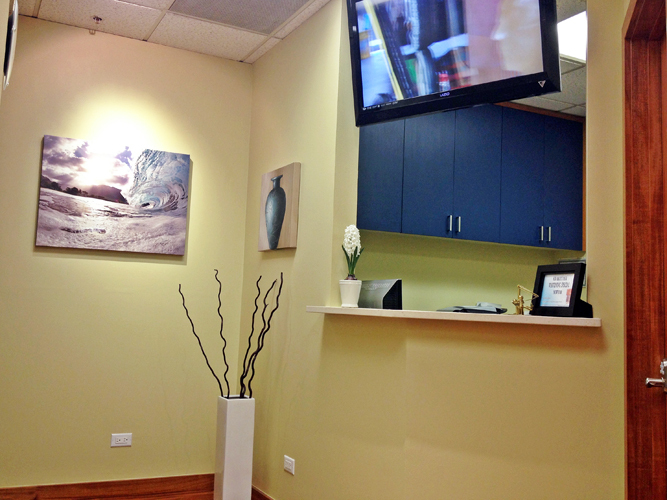 To ring in the New Year at our office, we upgraded to digital radiography (x-rays)! The technology of digital x-rays cuts exposure time by half, which greatly benefits our patients. 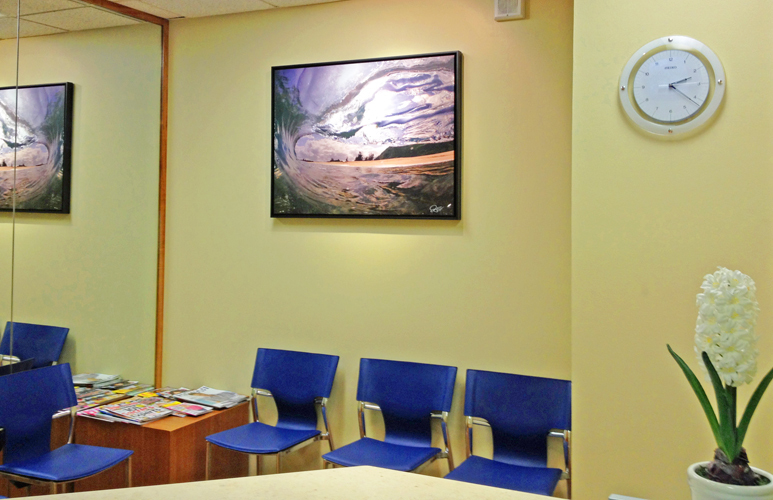 Dr. Wade is now able to view the pictures immediately and patients no longer have to wait for x-rays to be processed. We have more exciting upgrades coming soon to our office that will help us better serve you. We will keep you updated on our progress and we look forward to seeing you this year! Call to make an appointment today at 593-2775.